Floodplains by Design, a new program that combines salmon restoration with flood control, is a grand compromise between humans and nature. 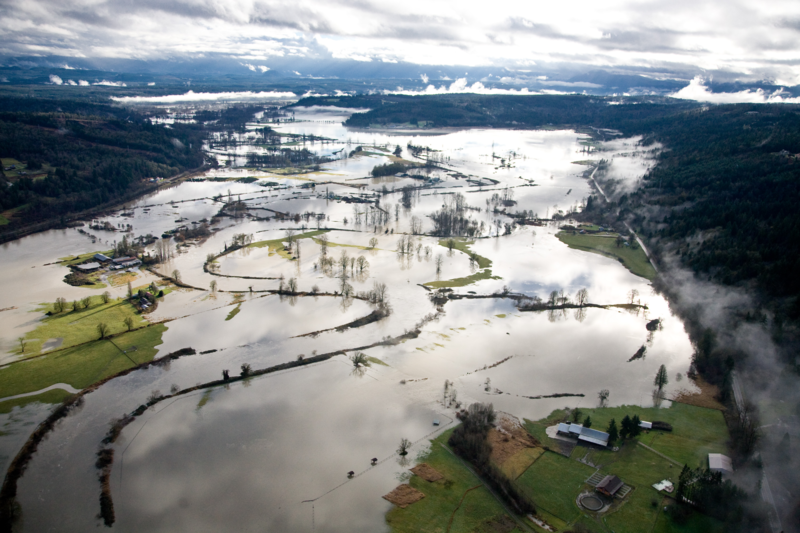 Floodplains by Design is an idea born from the realization that building levees to reduce flooding generally causes rivers to rush faster and flow higher. Under these conditions, the rushing waters often break through or overtop the levees, forcing people to rebuild the structures taller and stronger than before. Salmon, which have evolved through untold numbers of prehistoric floods, were somehow forgotten in the effort to protect homes and farmland built close to a river. Absent the levees, floodwaters would naturally spread out across the floodplain in a more relaxed flow that salmon can tolerate. High flows, on the other hand, can scour salmon eggs out of the gravel and flush young fish into treacherous places.